When you come to Hall Volkswagen for your service here in Brookfield, you will always get what you need. We are proud to serve the Milwaukee area with countless Volkswagen services. We can do it all. We are happy to handle your basic maintenance, and we are excited to get down into any major service or repair that you may need. We have done our fair share of engine and transmission work, and we will always make sure that your oil change gets done properly and with the proper products. When you bring your Volkswagen to Hall Volkswagen we will do everything in our power to make sure that your vehicle has everything that it needs to give you the years of service and safety that you were looking to get out of it when you first bought it. We love providing quality service to the Volkswagen vehicles that drive into our service center. We treat every Volkswagen with the level of care and respect that it deserves, and we will make sure that we bring the full weight of our expertise and training to every service job, no matter how big or small. Every service and repair is integral to the long-term reliability of your vehicle. We will always use the right tools, the right products, and the right equipment. We renovated this facility back in 2010 so that it could continue to provide you with level of service that you have come to expect from Hall Volkswagen. Our service area is kept in pristine and immaculate condition because our service technicians take pride in what they do and in what they can accomplish. We always take the time to make sure that our customers get the customer service that they deserve. We want you to get back out on the road, and we want to make sure that your VW is in perfect working order, but we also want to make your experience as simple and carefree as possible. We believe in honesty and transparency. We will tell you everything that is going on with your vehicle, and we will tell you everything that we can and will do to address the issues that have turned up. Let us take care of you and your Volkswagen right here in Brookfield. There is no need for the service process to be filled with stress, and with our family owned atmosphere and values, we will make all your stress and worry melt away. You need to make sure that you get the right parts for your Volkswagen. Not only will we work hard to ensure that we get the right parts for your particular issue and vehicle, but we will also make sure that you have everything that you will need to properly complete the installation. We provide our customers with genuine OEM parts, because these are the best parts to use on your Volkswagen in any situation. These parts were built with the precision that you need in your vehicle. 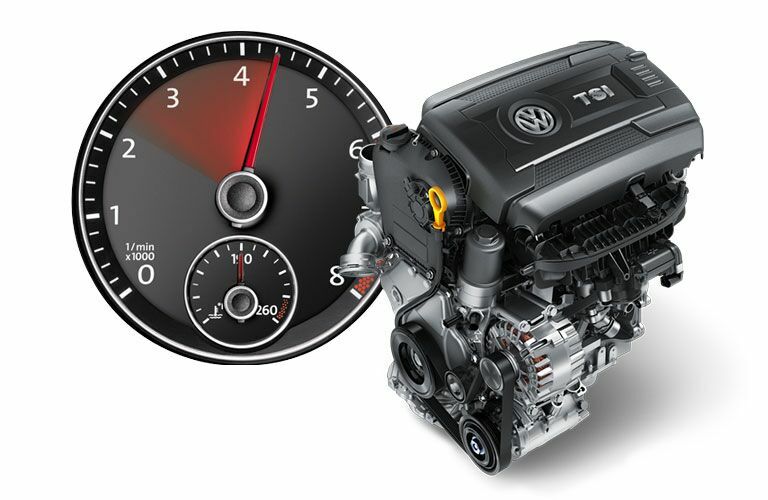 With their help it is possible to make your Volkswagen feel and drive just like new again. That is what you should ask from any replacement part, and that is the level of quality that only a genuine OEM part can provide. At Hall Volkswagen, we make sure that we can provide you with the parts that you need, when you need them. We have a comprehensive parts inventory that will almost always have the exact part that you need. We planned our inventory carefully to ensure that it is stocked with the most commonly needed replacement parts. If there is anything that you need that we didn't plan for, then we can still order it in and get it for your really fast. Once we have the parts that you were looking for, then we can even install them for you too. Leaving your parts installation to us will ensure that everything gets done following proper Volkswagen procedures and using proper Volkswagen tools. We want to make your VW as great as it can be, but we can only do that if you let us. If you have any questions regarding the parts or services that we can provide for you and your Volkswagen, then just give us a call or stop by. We love helping out our customers with everything that they need, and we are more than happy to provide you with answers and advice.